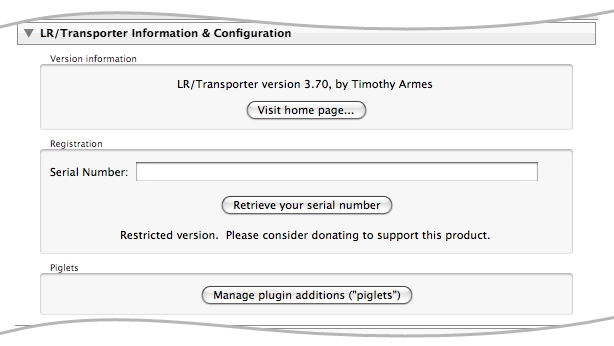 If you wish to export the metadata without exporting your photos then you should choose File->Export metadata using LR/Transporter (note that as of Lightroom 2 this menu option is hidden under then "Plugin Extras" menu). From here you can export companion and summary files as described below. To export your metadata with your photos you should open the plugin by pressing Lightroom's "Export" button and then choosing LR/Transporter from the top of the export dialog. For Lightroom 1.x users this is the panel where you should enter your registration code. 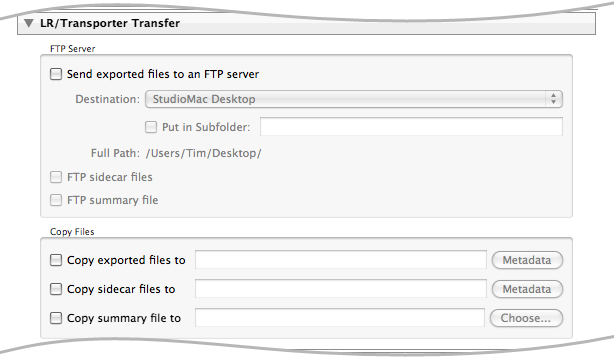 LR/Transporter is able to create a text file for each exported file. These files are known as "Companion" files. It can also create an overall summary file with details concerning the overall export operation. In both cases you define the contents of these files, and you may refer to the metadata that's embedded in the exported photos (read about Metadata Tokens for more information) . Once you've exported your photos and created your text files, you may wish to do something with them. LR/Transporter allows you to send these files by FTP, or copy them to a new location on your hard drive (which may be defined by more tokens). 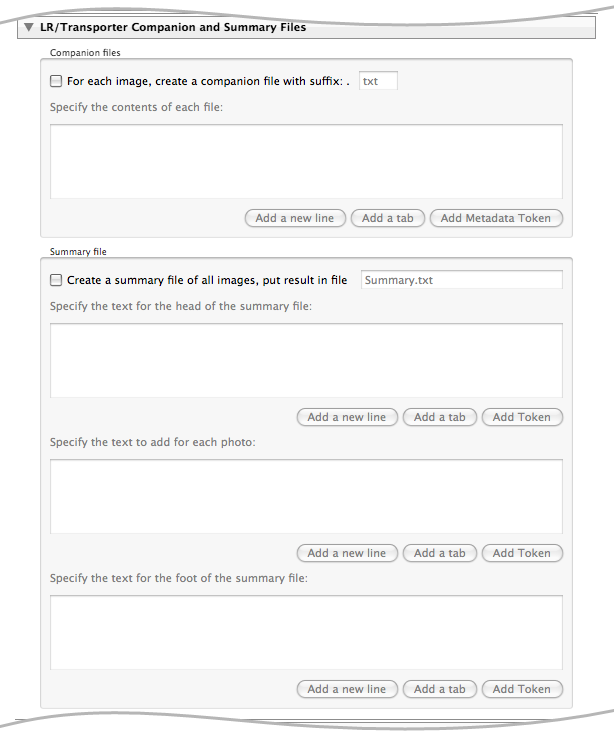 Finally, with your photos and accompanying metadata transported elsewhere, you may choose to remove the exported photos and the newly created text files.